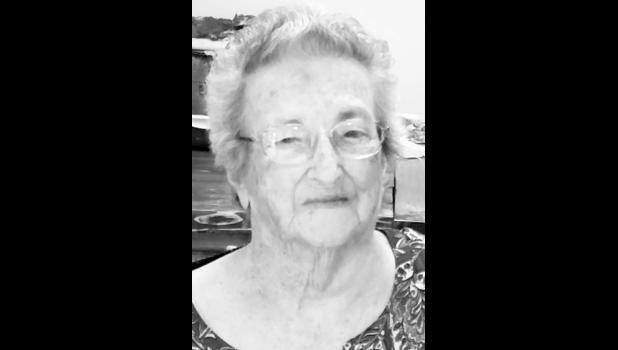 Mary E. Scott, 88, Belle Plaine, passed away Thursday, Dec. 10, 2015. Mary was born Aug. 23, 1927, in Wetmore, the daughter of Charles and Leona (Loveless) Zabel. She married Ivan L. Scott on Dec. 8, 1946, in Wetmore. He pre­ceded her in death on Nov. 19, 1988. Survivors include her children, Harry Scott (Barbara) of Bluff City, Ivan Scott, John Scott (Kathy), Doug Scott (Tonisha) and Shane Scott (Stephanie), all of Belle Plaine, Lee Hatfield (Steve) of Clearwater, Linda Polk (Bill) of Orlando, Fla., and Sharon Lewis (Pat) of Belle Plaine; 20 grandchil­dren; and 16 great-grandchildren. Funeral services were held Mon­day afternoon at First Baptist Church, Belle Plaine. Interment was held in Belle Plaine Cemetery.